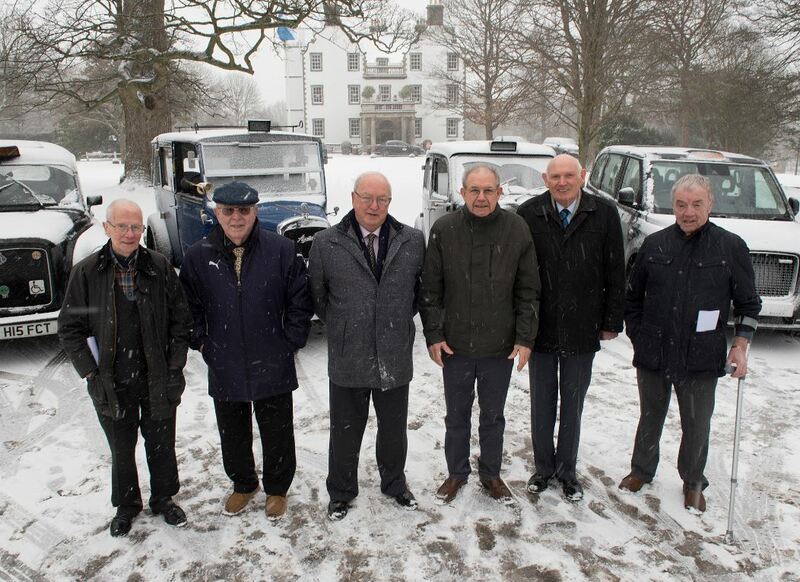 The driving force behind Edinburgh taxi firm Central Taxis marked half a century of hailed hackney cabs with a surprise lunch for the founding members at Prestonfield. The company started as a co-operative with just 33 members, but has now been whizzing passengers through the streets of Edinburgh for 50 years. The savvy drivers who came together to form the firm realised the power of a fleet was stronger than one lone motorist and to honour the gents who created a solid foundation for ferrying fares from Liberton to Leith, Central’s core committee treated the original crew to a show of vintage cabs from through the ages and a slap-up five-star meal at Prestonfield House Hotel. A vintage Fairway LTI from 1992, an 80-year-old Beardmore and a Jones Lowloader from 1938 sat proudly outside Prestonfield House as past and existing co-operative committee met to celebrate the milestone. Central Taxis will be doing more to celebrate its 50th Anniversary throughout the year.